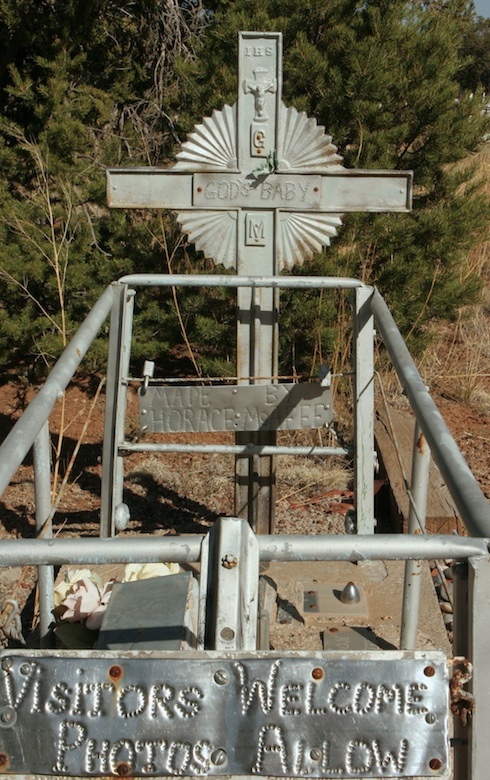 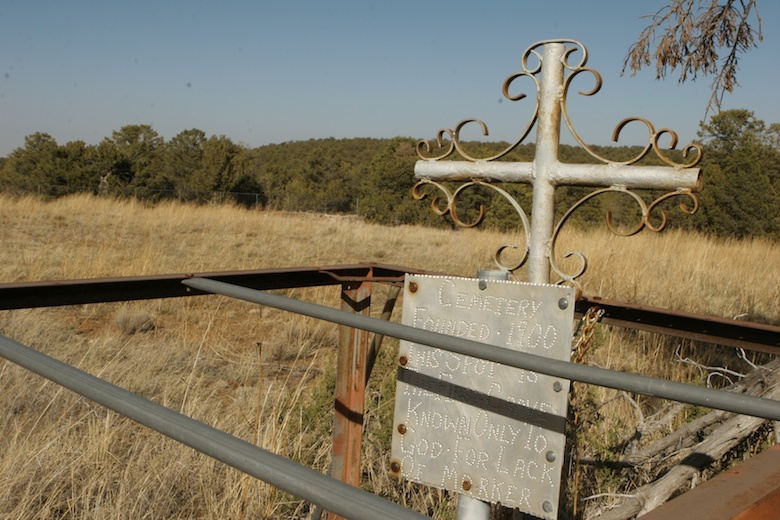 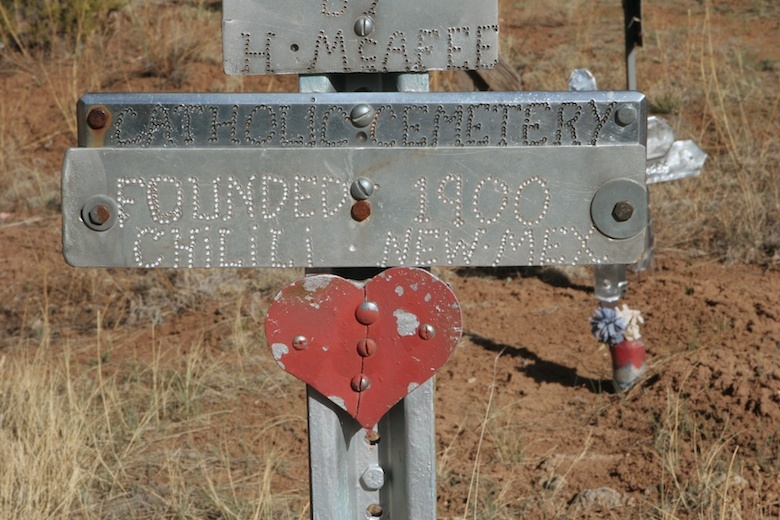 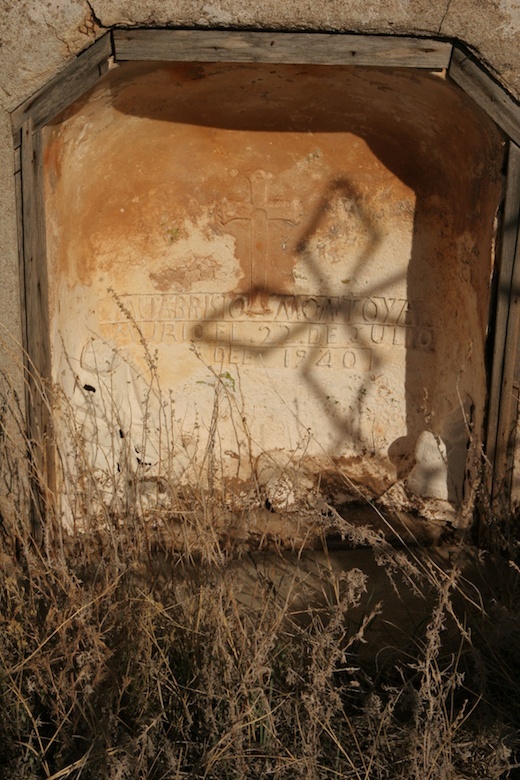 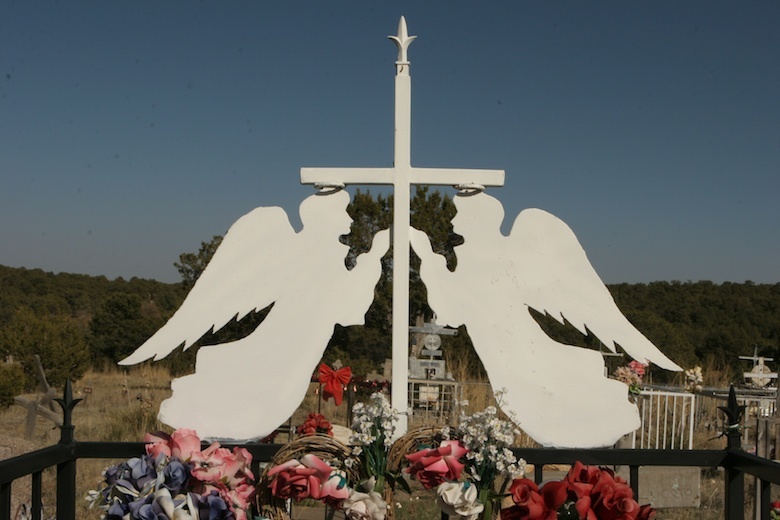 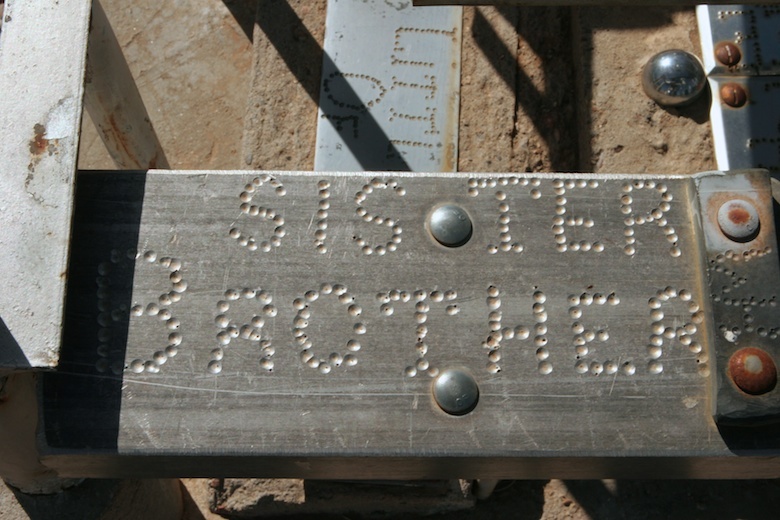 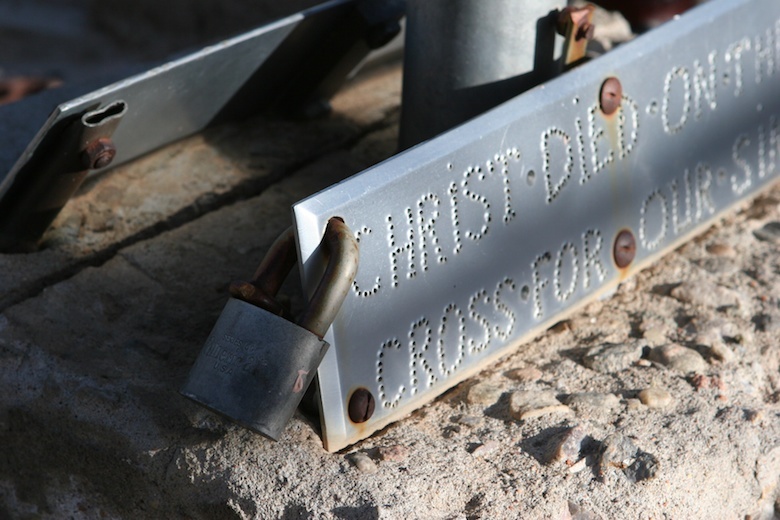 Tin sheet tombstones in a tiny New Mexico cemetery | Best Road Trip Ever! 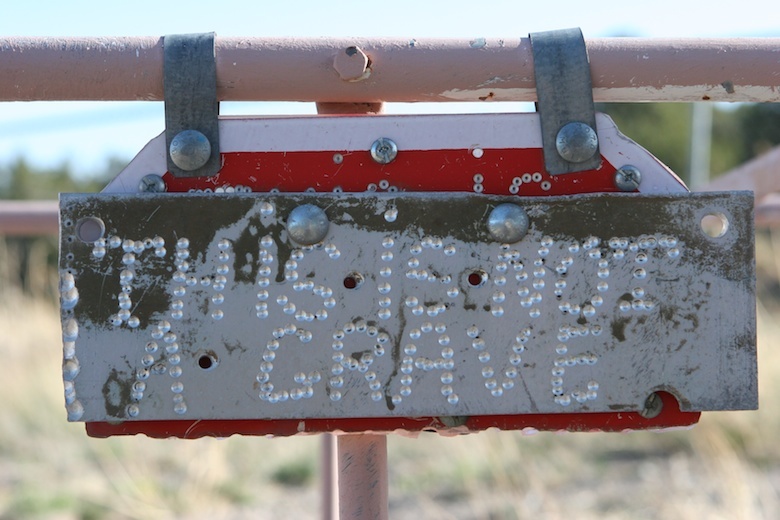 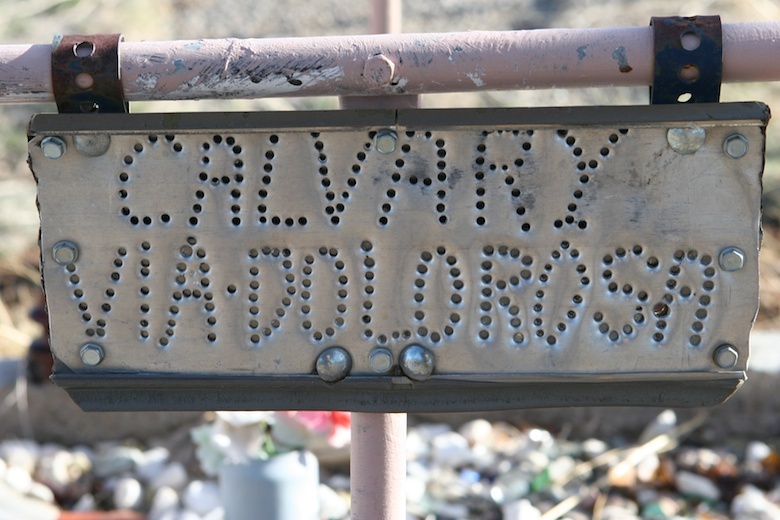 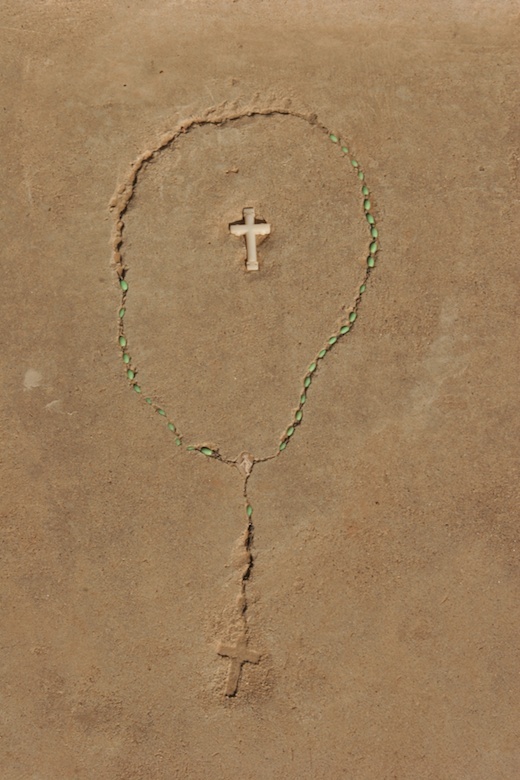 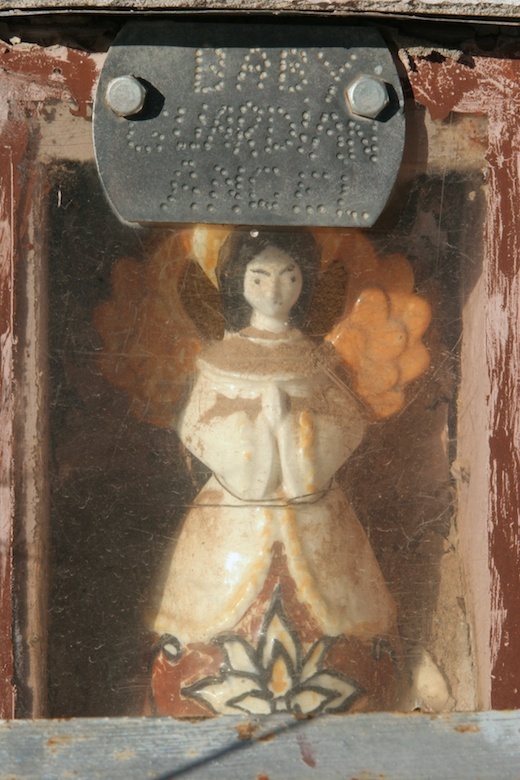 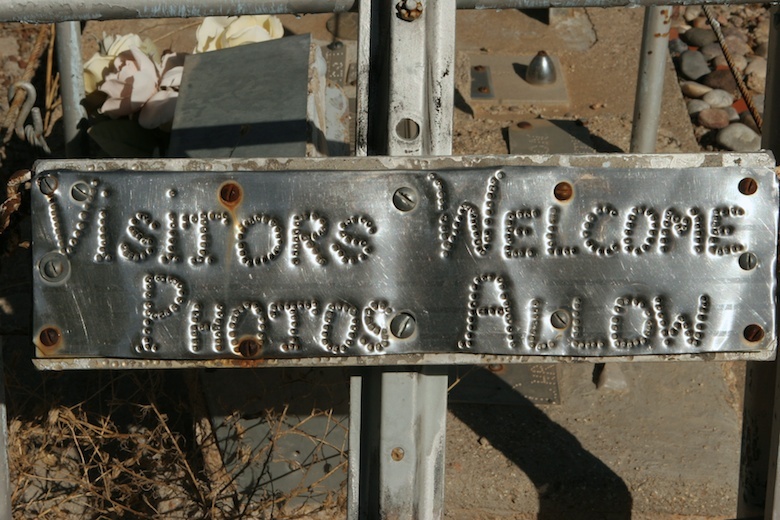 Southeast of Albuquerque, in the tiny town of Chilili, New Mexico, there is a cemetery in which many of tombstones, grave markers, and memorial plaques have been created with sheets of tin, sometimes mounted on marble, sometimes with found objects set in concrete. 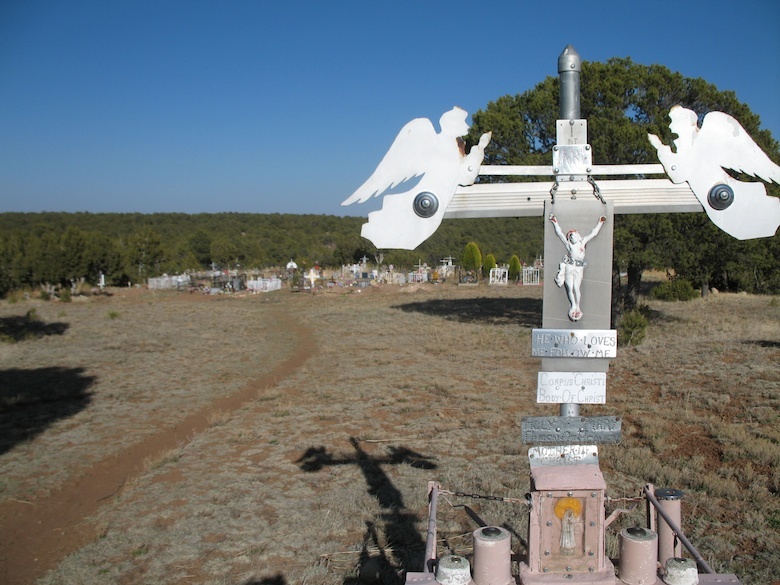 All created all by one man, Horace McAfee. 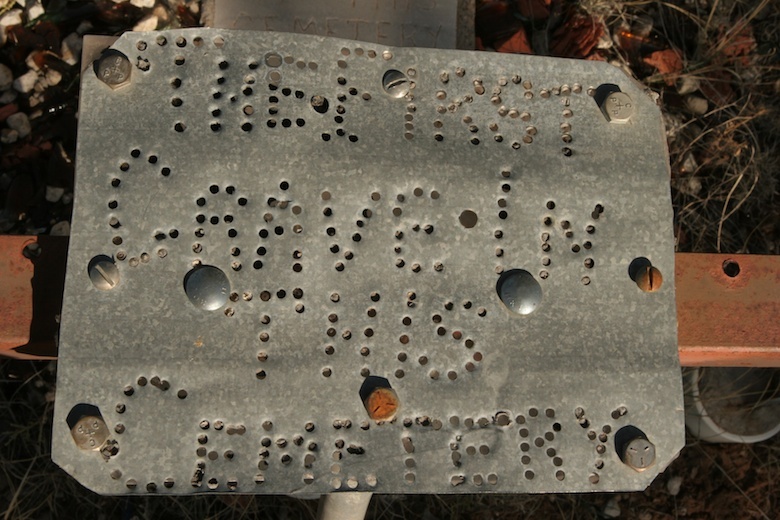 McAfee hand-lettered sheets to tin by painstakingly punching the individual letters with a nail. 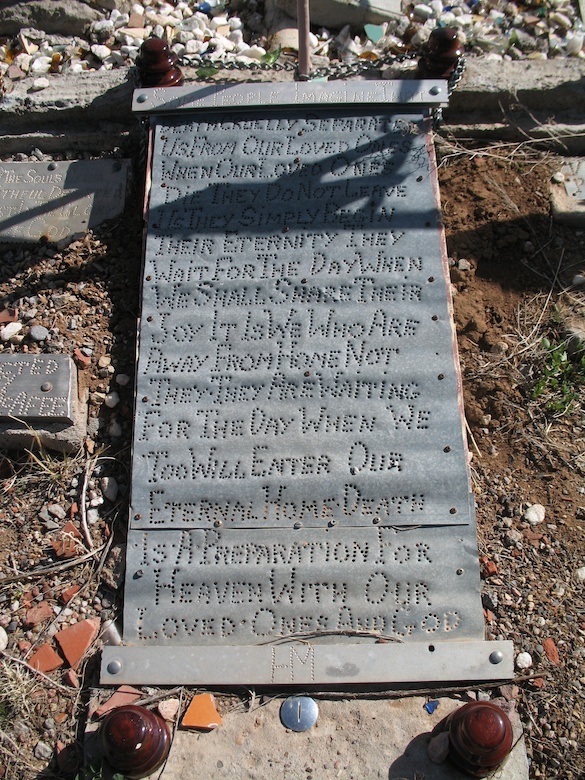 A few of the tin sheets, with McAfee’s musings on the afterlife, have up to 90 words precisely punched. 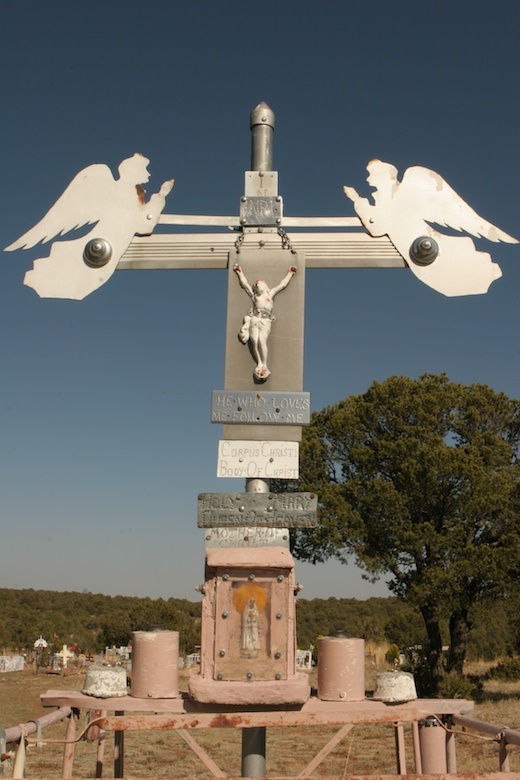 Also found are tin sheet angels, created by this man. 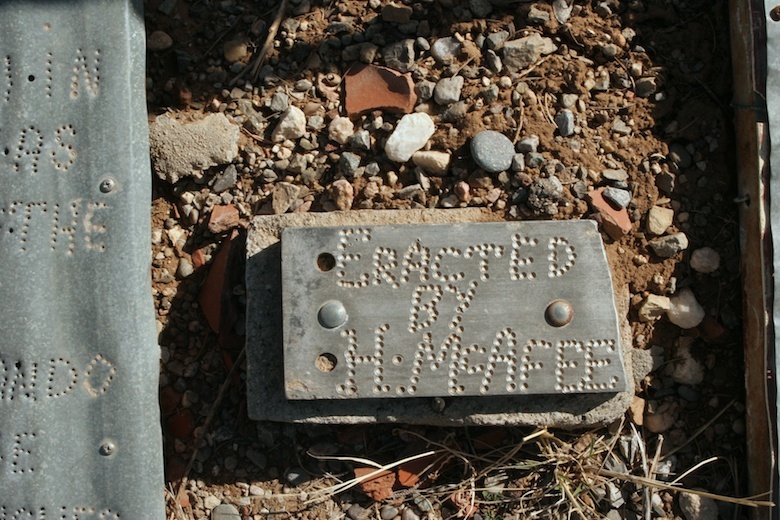 The arguable centerpiece of the cemetery in the gravesite of McAfee’s father, Private Harry McAfee, who died in 1933, after receiving 2 purple hearts and 2 silver stars in WWI. 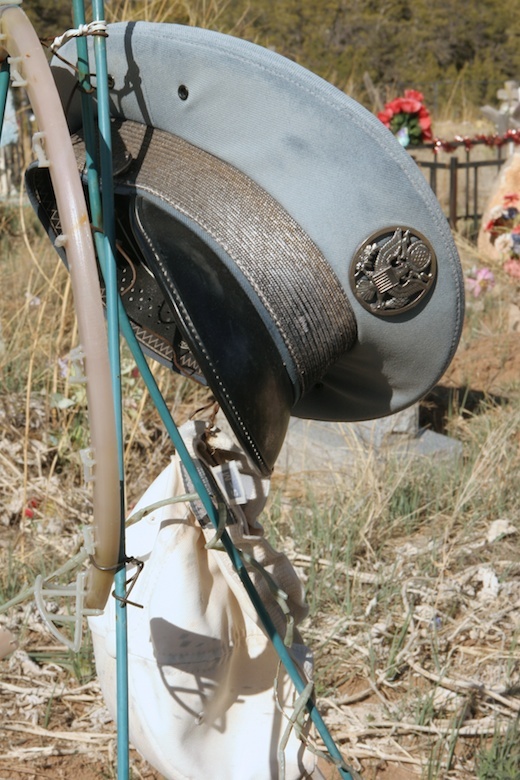 Created by Horace in 1947, the adornment of the memorial includes a bowling ball, bicycle reflectors, his fathers WWI helmet, and a hand tinted photo of Harry McAfee, that has surprisingly withstood the elements over the years. 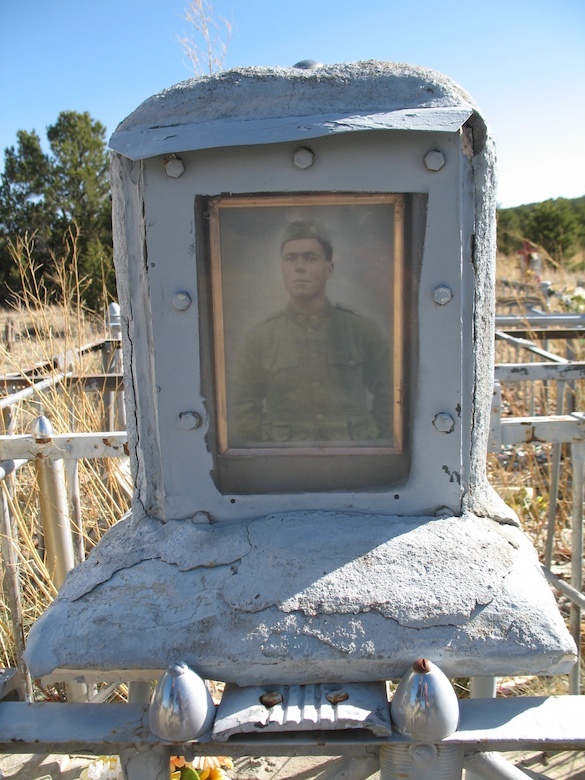 Harry’s graveside marker has also been noted in the Smithsonians American Art Museum’s art inventories catalog. 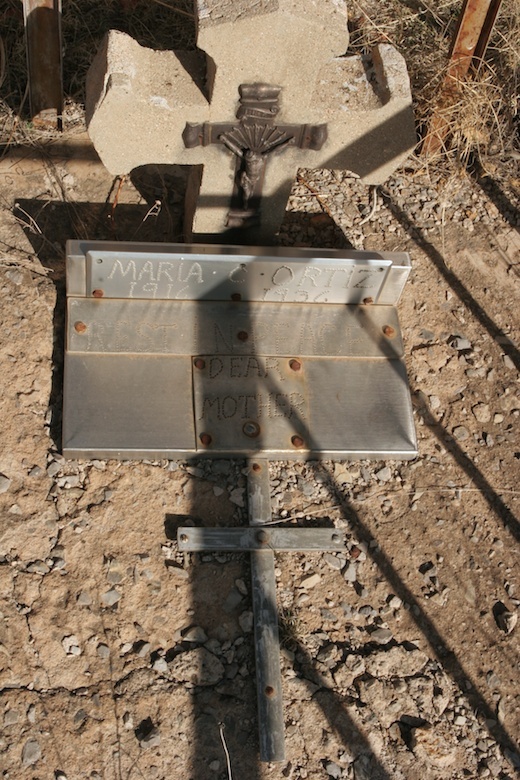 Sadly, McAfee is buried there as well, but with no tin-punched marker to commemorate this artist. 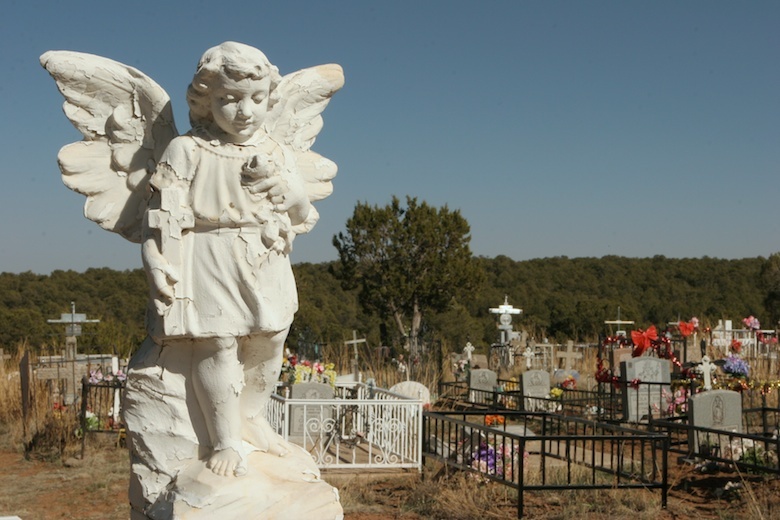 It’s not really in town, but at St. John Nepomucene Cemetery. 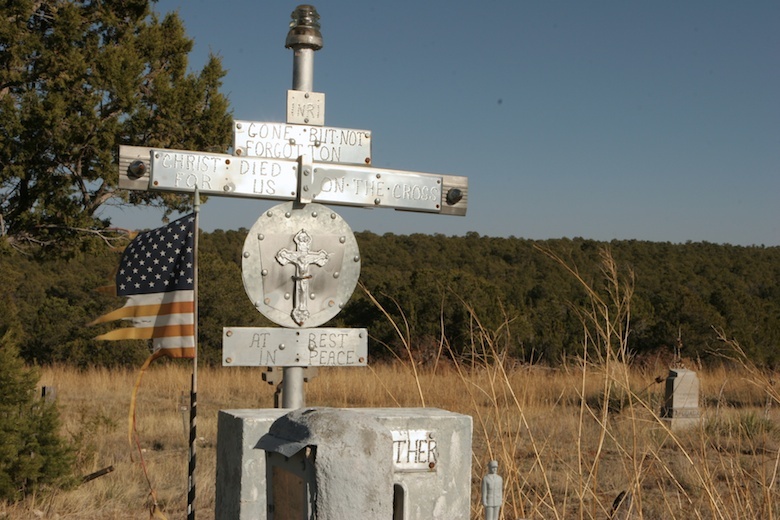 I-40 exit 175, then south 20 miles on Hwy 337. 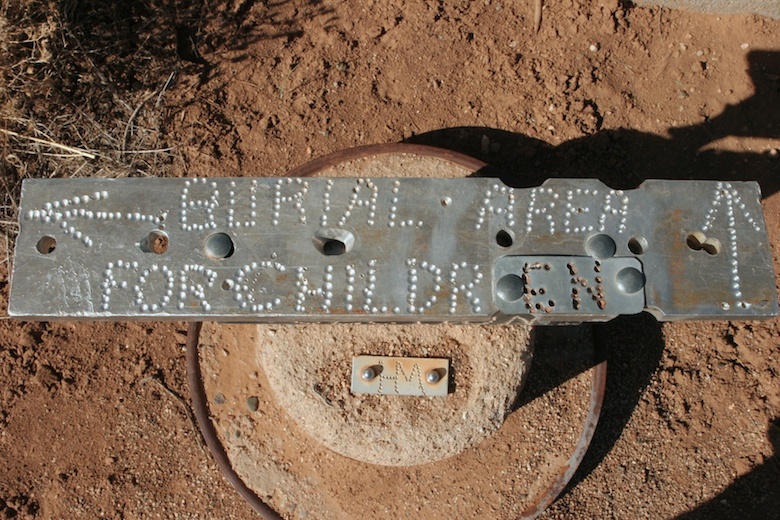 On the east side, about a mile south of the hamlet of Chilili, and just south of Pohl Rd. 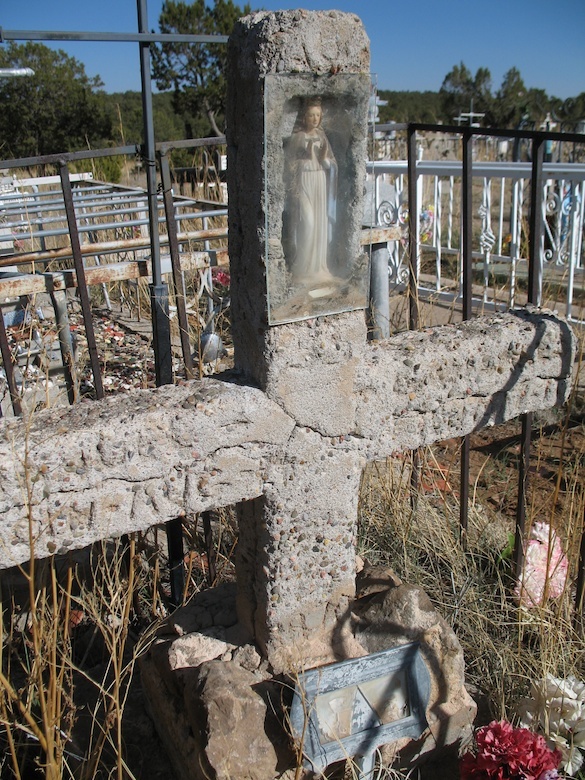 The cemetery has an unlocked gate next to the pull-off.